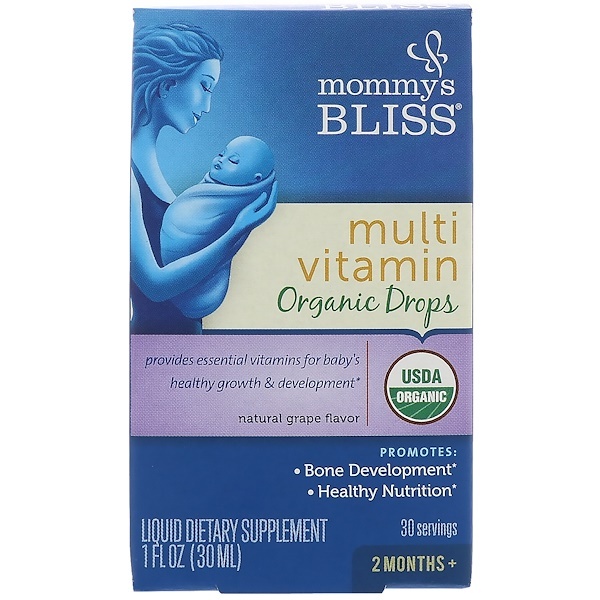 Mommy's Bliss Multivitamin Organic Drops are derived from extracts of fruits and botanicals. 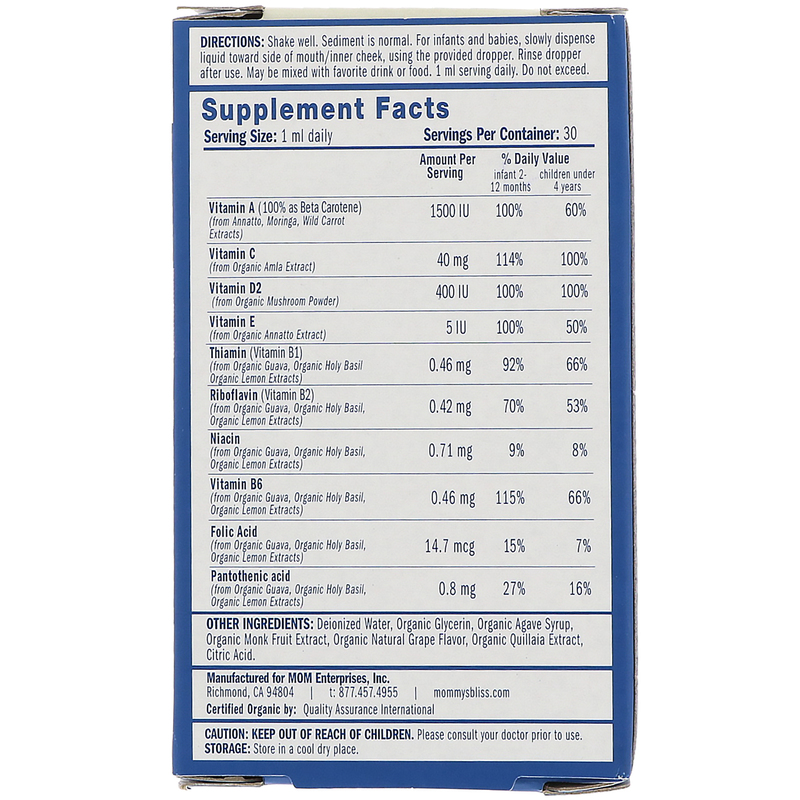 Vitamin A & E‡ moringa, wild carrot, & organic annatto extracts. Contains no fruit or vegetables. Shake well. Sediment is normal. 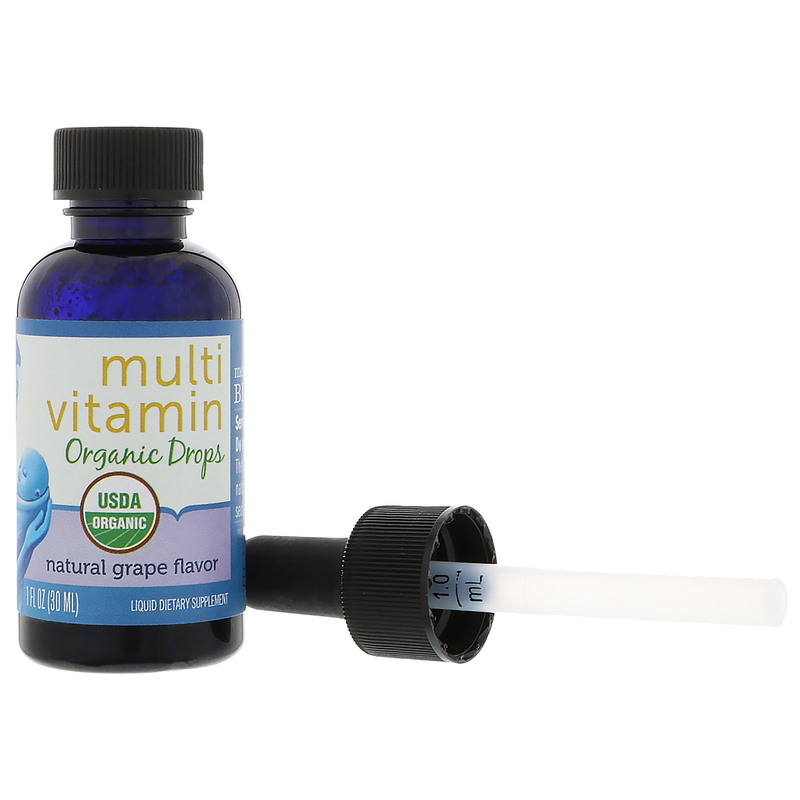 For infants and babies, slowly dispense liquid toward side of mouth/inner cheek, using the provided dropper. Rinse dropper after use. May be mixed with favorite drink or food. 1 ml serving daily. Do not exceed. Deionized water, organic glycerin, organic agave syrup, organic monk fruit extract, organic natural grape flavor, organic quillaia extract, citric acid. No artificial flavors or colors, no dairy, gluten, soy or nuts.